Just in time to ring old the old year and celebrate the new year, my new book The Essence of Champagne has been published. It is initially available on the Kindle site of amazon.com (click here). The physical copy will be available very soon (I will follow up with details when it is published). I realize there are several books about Champagne on the market, so why did I write this and why should you purchase it? Well to answer that, let me tell you what this book is NOT. It is not a book with tasting notes on 500 or 1000 (or more Champagnes). There are a few books that offer these features and I find them fascinating; if you are looking for that, by all means, go for it. But I wasn't interested in offering hundreds of tasting notes; that wouldn't be the book that best represents my interest in Champagne. I wrote this book as a journalist, and not as a critic. There are no point ratings in this book; I'll save my argument against points for another day. 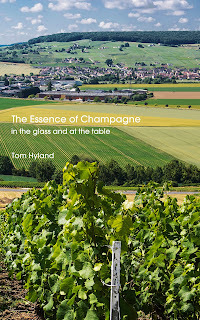 What I've done in this book is to feature 50 Champagnes producers, ranging from some of the most famous houses (Veuve Clicquot, Pol Roger, Taittinger, Louis Roederer, et al) to some of the smallest growers (David Léclapart, Chartogne-Taillet, Cedric Bouchard, et al). I profile these producers and features quotes from the chef-de-caves or proprietor about their methods and reasoning, as well as their philosophy. For each producer, I feature one or two wines - these do have personal tasting notes, often with detailed technical information - and follow those notes with a recommended food pairing. Some of these are personal recommendations, while some are from the proprietor or winemaker himself or herself. For example, with his prestige Cuvée Josephine, proprietor Jean-Claude Fourmon of Champagne Joseph Perrier recommends a hard goat cheese or Comté chese from the Jura. He told me that "You lose finesse with intense foods with this cuvée." I do rank the producers on a personal level with star ratings, from 2 (Good) all the way up to 5 (Superior). A few 5-star producers include such famous labels as Dom Perignon and Pol Roger to some smaller growers, such as Larmandier-Bernier (arguably the best price/quality relationship in Champagne) and Cedric Bouchard (his wines are labeled as Roses de Jeanne). Along the way, I learned many things about Champagne that I wasn't that aware of. For example, I learned that while aging in wood was common in the 19th century, most producers used only steel tanks for much of the 20th century; it wasn't until the last 20-30 years that more and more producers have once again started to use wooden barrels for vinification. One producer told me that this has come about as a result of making more cuvées more adaptable for many types of food. 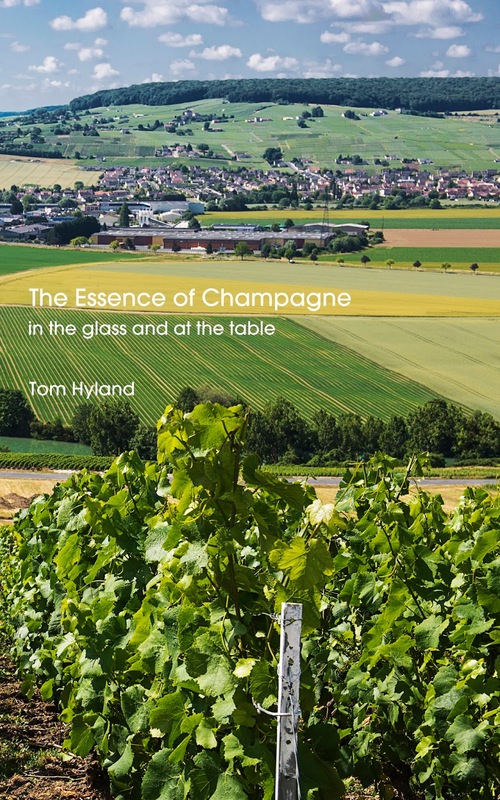 If you love Champagne, I think you'll greatly enjoy this book, especially as this is a fresh look at this great wine and its finest producers.